(2012-2013) Head of Wardak Appelate Court, Judicial member of Kabul Bank Appellate Court, Professor of Suits of Proof in civil and penal code claims in Judicial Setage Course and trainer of Evidence of Proof subject in penal cases in Judges Capacity Building Workshop. (2011) acting Director in Public Security Divan of Kabul Appellate Court. (2009 -2011) counselor in Public Security Divan of Supreme Court. 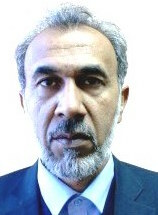 (2008) Director of Primary Court of Paghman district of Kabul. (2006) member of civil divan of third area Primary Court of Kabul. (2005) Head of 6th area’s court of Kabul. (2000-2005) judicial member in Wardak, 4th area, 8th area, 10th area and 3rd area primary courts as well as judicial member in Public Security Divan of Kabul Appellate Court. (2005) Registration Officer of documents and trademarks in Samangan Appellate Court. (1997) judicial member of civil and public rights divan of Samangan Appellate Court. (1996) judicial statistics professional member of Supreme Court’s Refine and Studies Department. (1990-1993) Scrivener at 1st area court and Scrivener of Shakardara Court of Kabul. Qazawatmal Abdul Haseeb Ahadi son of Abdul Ahad, born on 1969 in Kabul and graduated from Emam Abo-Hanifa High Madrasa (PBUH). He holds a bachelor degree from Law and Jurisprudence Department of Sharia faculty of Kabul University and is a graduate of Judicial Setaj, IDLO Judicial Course and CEDAW Judicial Course.